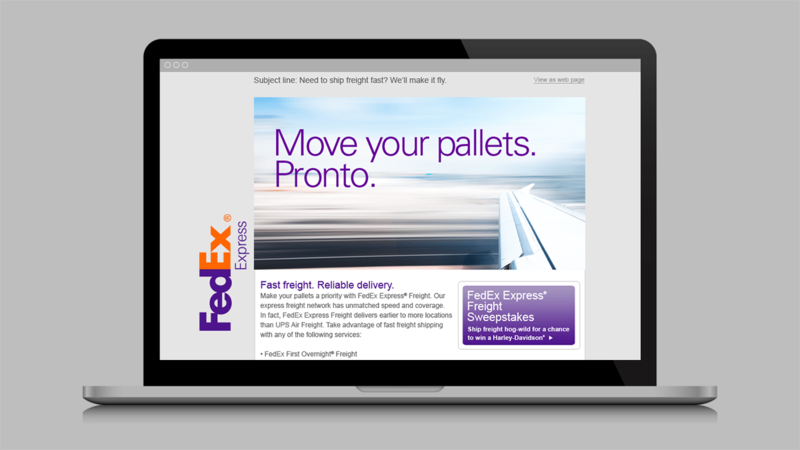 When you’re working with one of the world’s leading logistics companies, you have to be able to deliver. 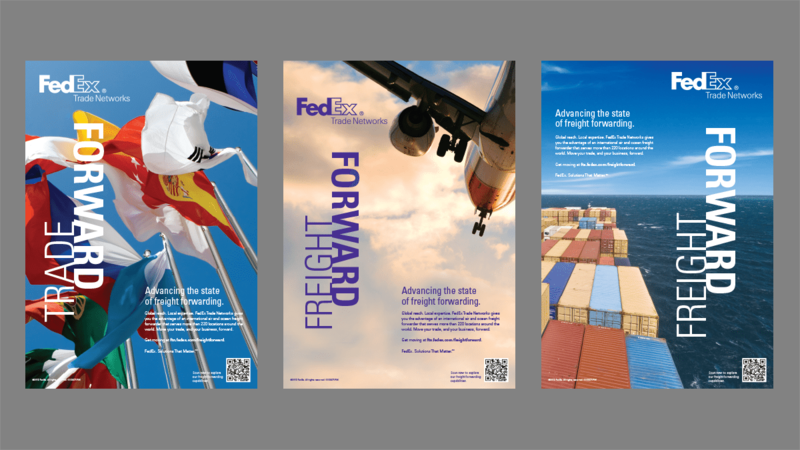 That’s why our work for FedEx focuses on more than just shipping. 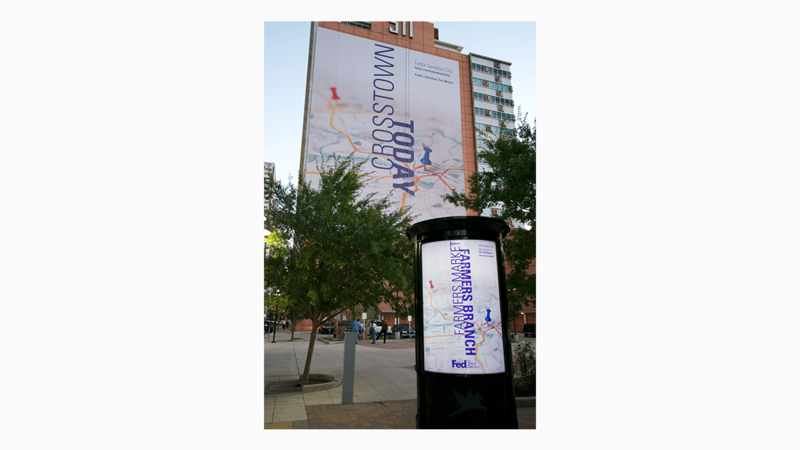 Across all channels, we highlight their passion for growing businesses and providing global connection for customers. 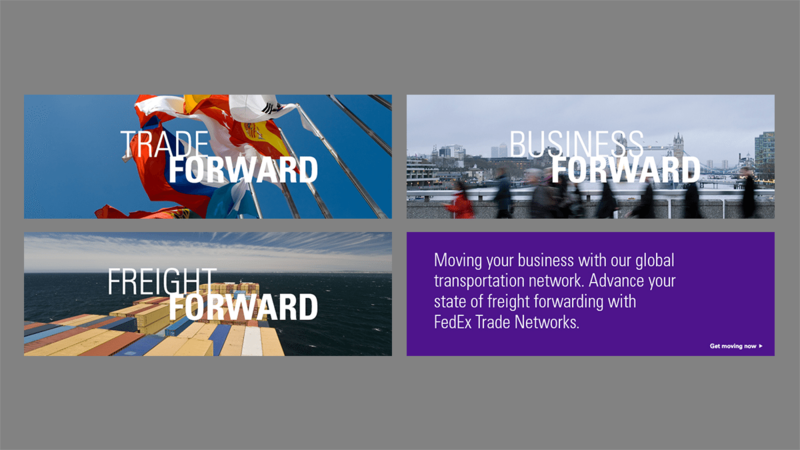 From engaging their sales force in corporate initiatives to promoting new customer services, we continue to deliver for FedEx – helping them succeed from the inside out. 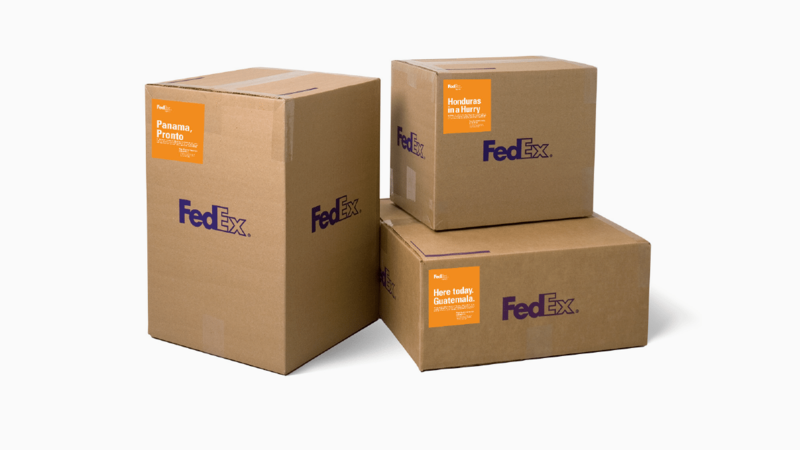 FedEx Express Freight is all about big things moving fast. 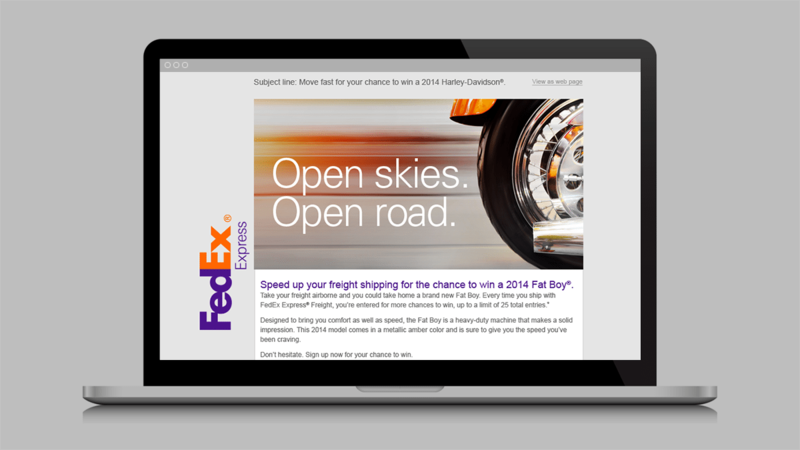 And nothing demonstrates that better than a motorcycle. 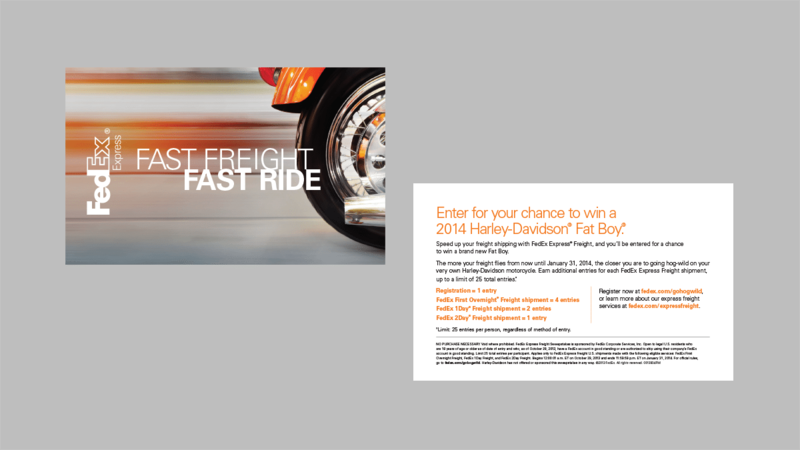 Our work offered customers the chance to win a Harley-Davidson motorcycle and highlighted the speed of FedEx Express Freight. 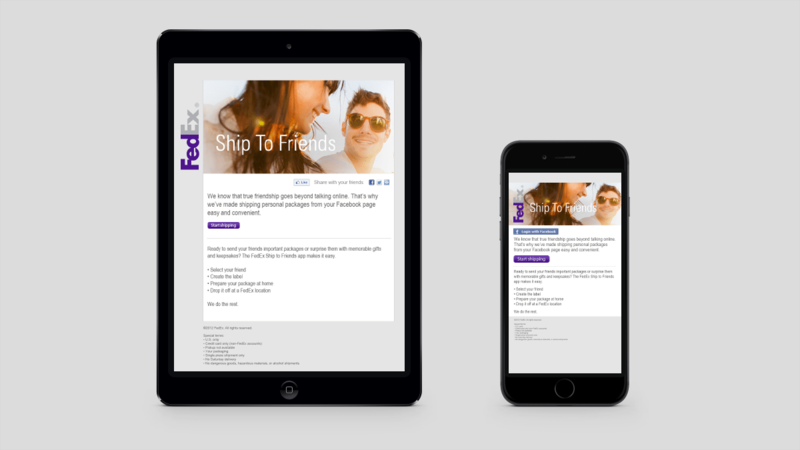 For the campaign, we developed emails, web banners, and cards for drivers to hand out to customers. 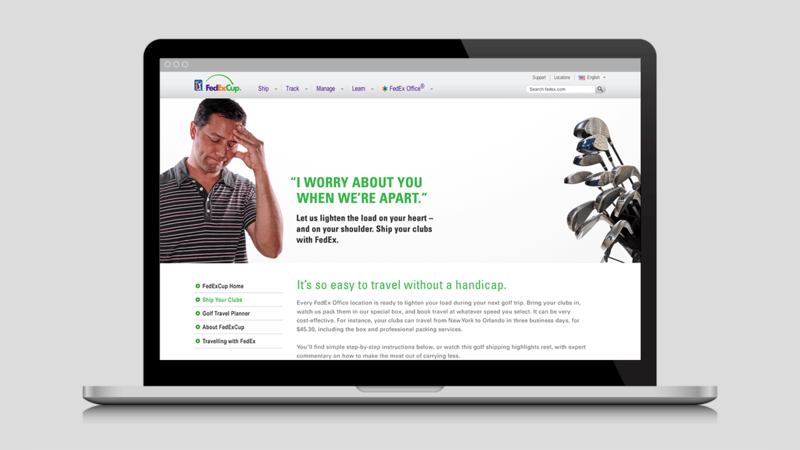 This video series shows that even bad golfers can be good shippers. 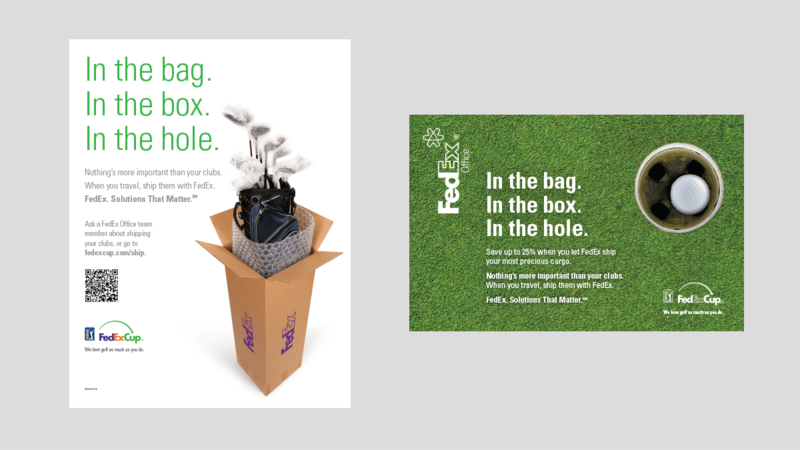 Developed to accompany other golf-related videos for FedExCup®, these spots highlight the simplicity of FedEx One Rate. 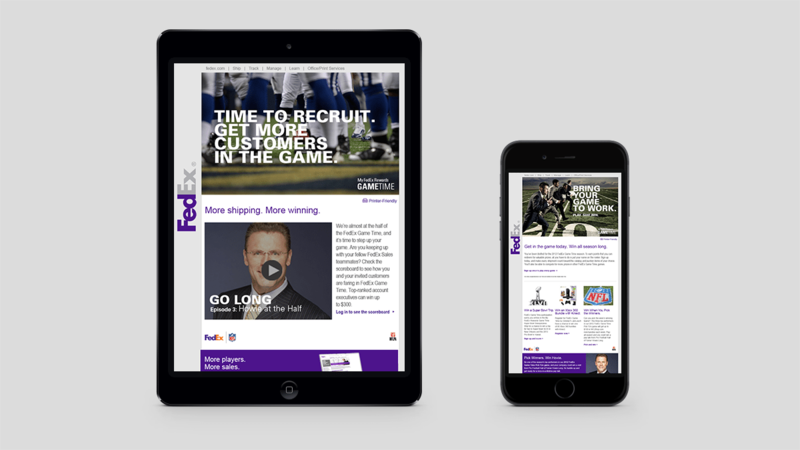 inferno helped FedEx customers and Sales staff get in the game with this campaign. 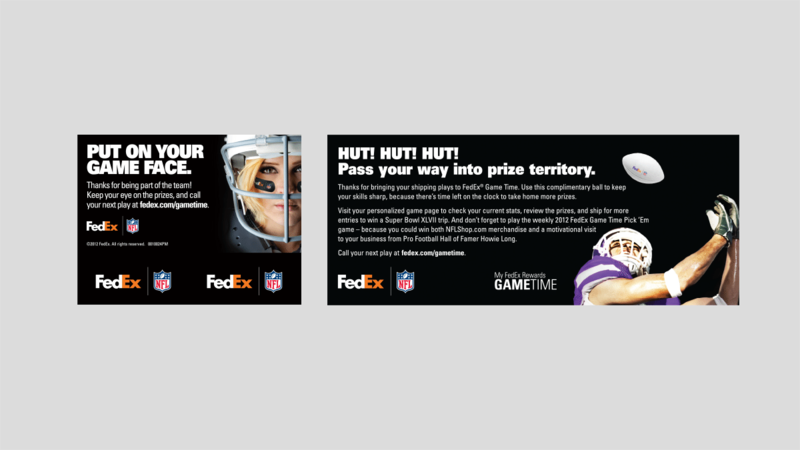 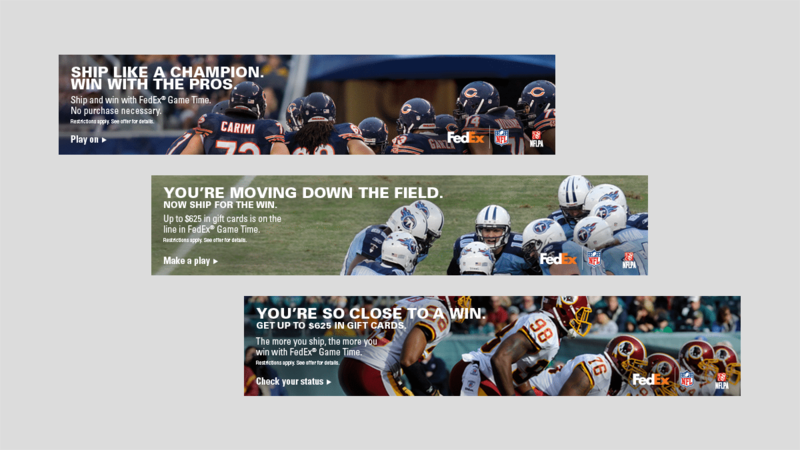 Through a series of print and digital tactics, we showed how My FedEx Rewards members could win football-themed prizes for their shipping. 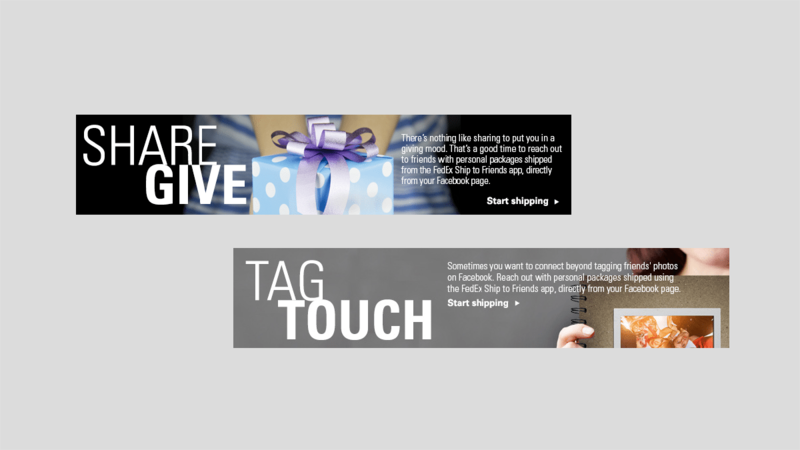 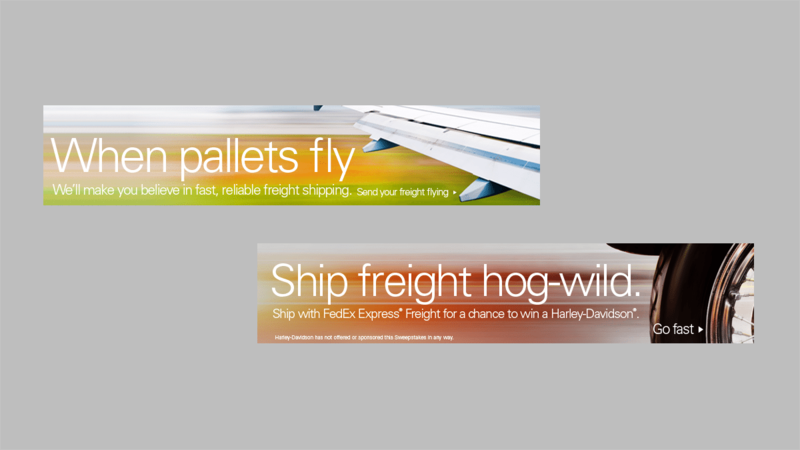 inferno created the brand-driven “Freight Forward” campaign for FedEx Trade Networks that included digital ads, banners, airport signage, and landing pages. 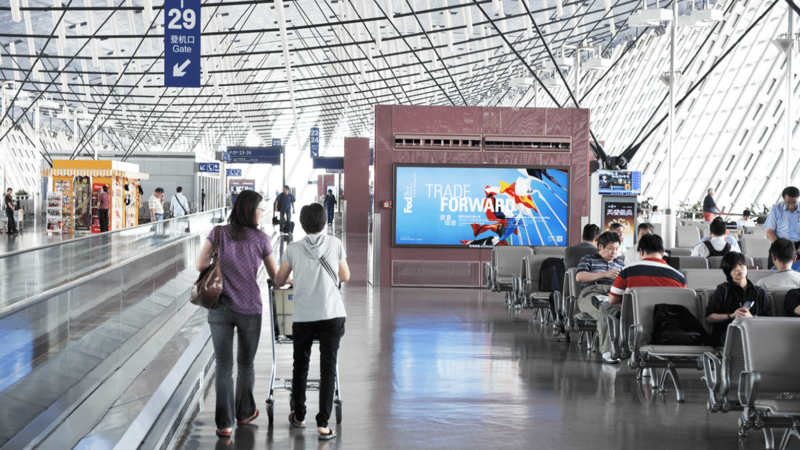 The campaign successfully launched in markets all over the world, from Amsterdam to Shanghai. 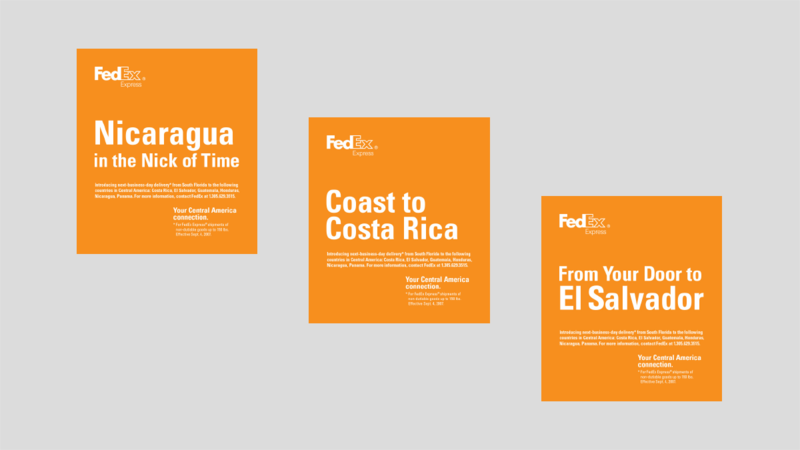 FedEx delivers to Central America – fast. 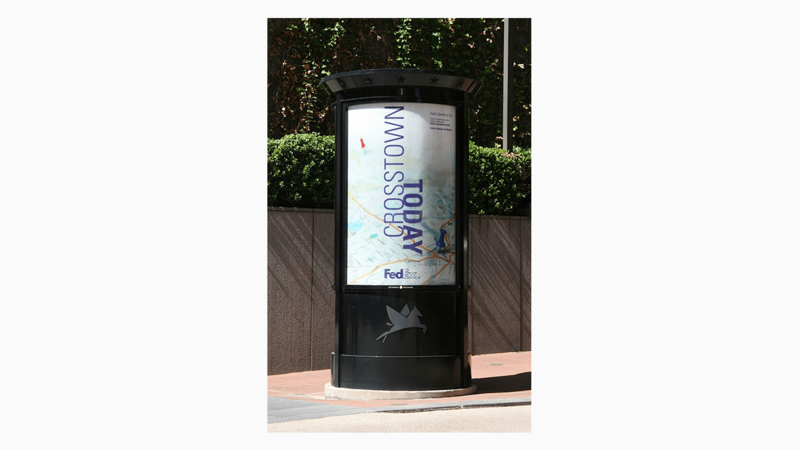 And this multi-piece promotional campaign drives that point home with quick, memorable messaging. 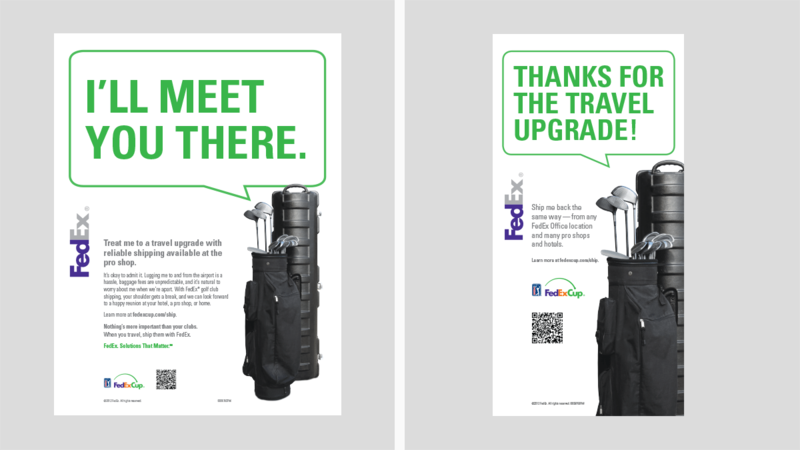 For golf enthusiasts, clubs can feel like family. 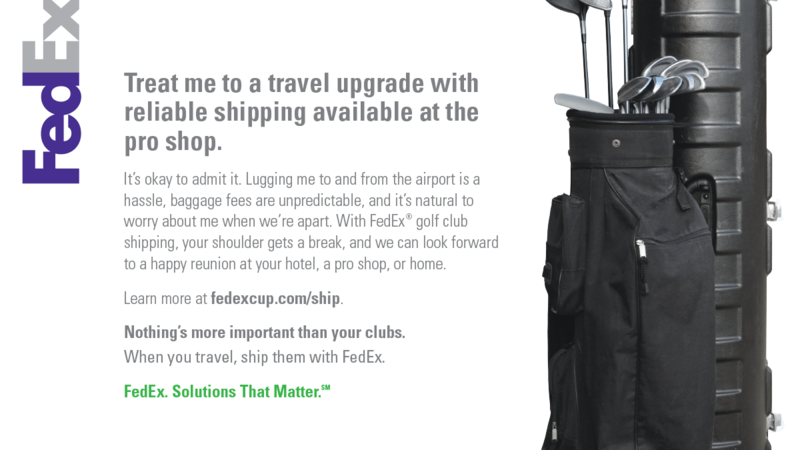 And this integrated campaign shows that FedEx makes traveling easier for golfers and their little metal friends. 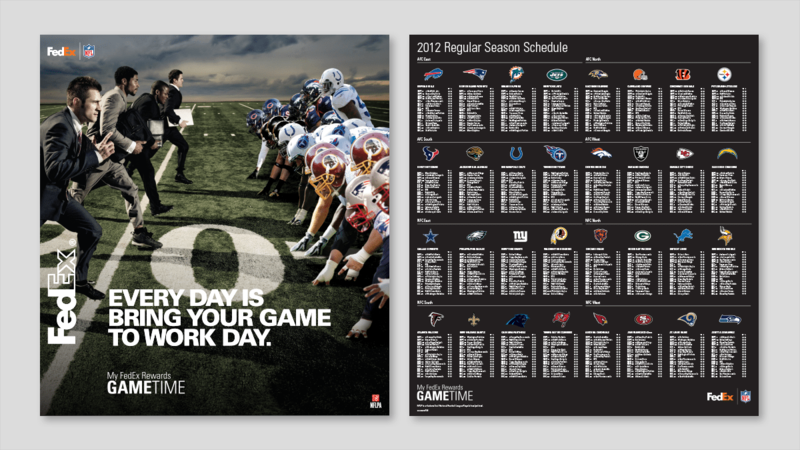 At inferno, we always think big. 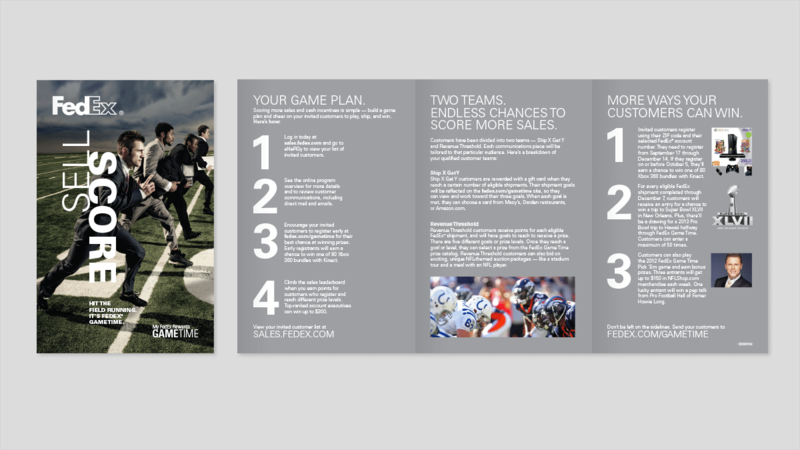 And for this project, we designed big, too. 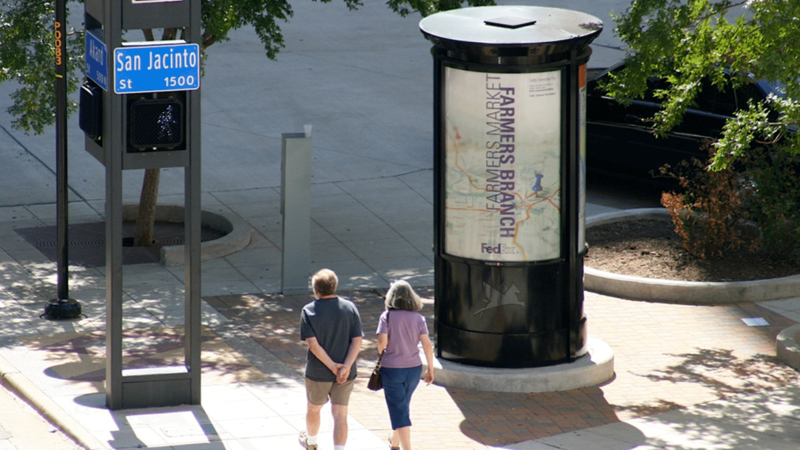 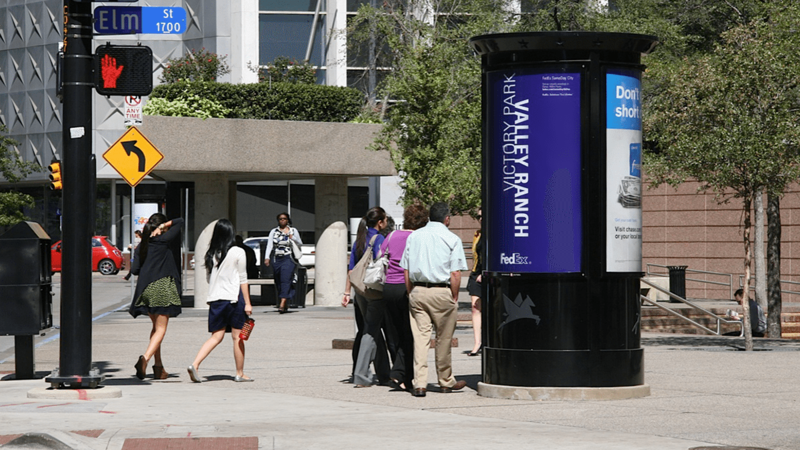 To promote FedEx SameDay® City, we created big, attention-grabbing outdoor graphics that went up in large markets across the U.S.